Jharkhand Board Class 12th Arts Result: Jharkhand Academic Council (JAC) has declared the JAC class 12th arts results today. The JAC arts result was announced today at 2:10 pm and is also available on the JAC’s official website. The result was announced by JAC Chairman Arvind Kumar Singh. The council had already announced the result for Science and Commerce streams on June 7, 2018. Last year more than 70% students had passed in the Inter Arts board exam. This year the pass percentage has increased with 72.62% students qualifying in JAC 12th Arts result. 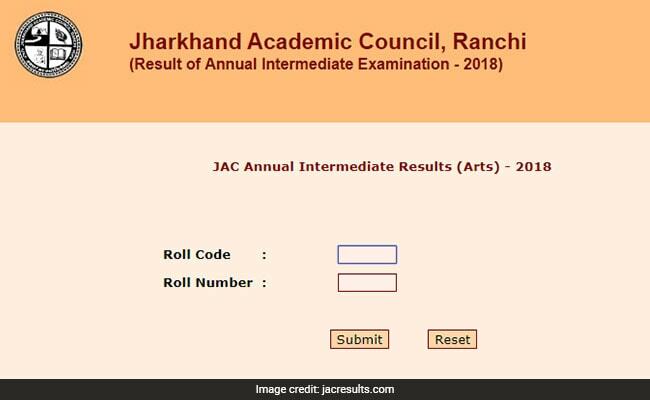 JAC 12th Arts Result 2018: How to Check? Step two: Click on the result link. Step four: Submit and view your results. The details for revaluation or compartment exam will be released on the council’s website shortly. The board has already released the 12th result for Science and Commerce stream students. 48.34% students cleared the exam in Science stream and 67.49% students cleared the exam in Commerce stream.